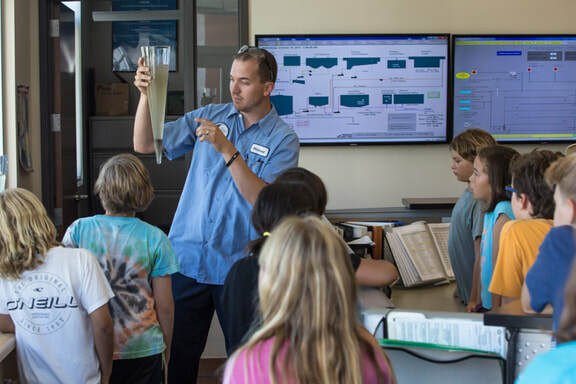 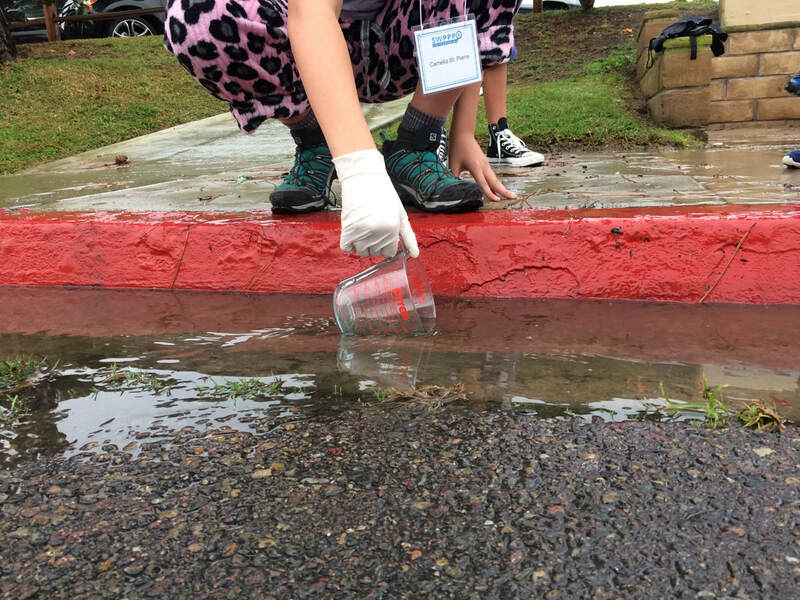 SWPPP - An elementary school internship in storm water pollution management. A SWPPP is a requirement of the Clean Water Act addressing identifying the Best Management Practices (BMPs) a facility is using to reduce pollutants in runoff from entering storm drains. 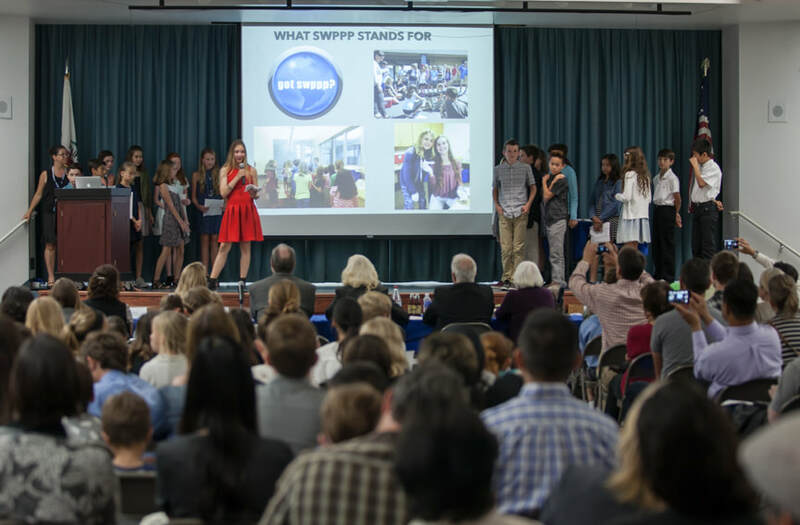 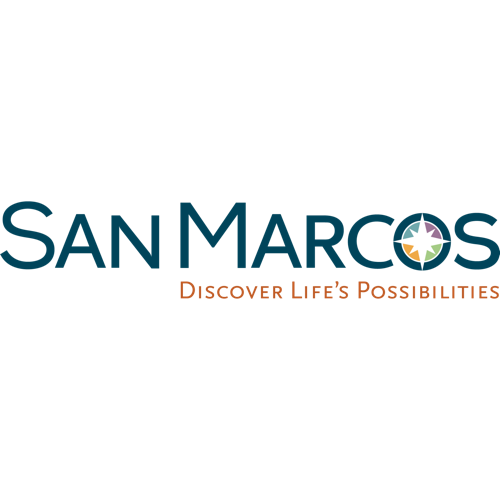 SWPPP Internship™ Program hires interns to create a SWPPP for their school site. 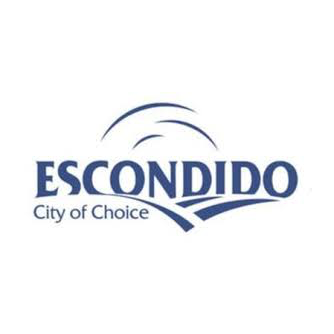 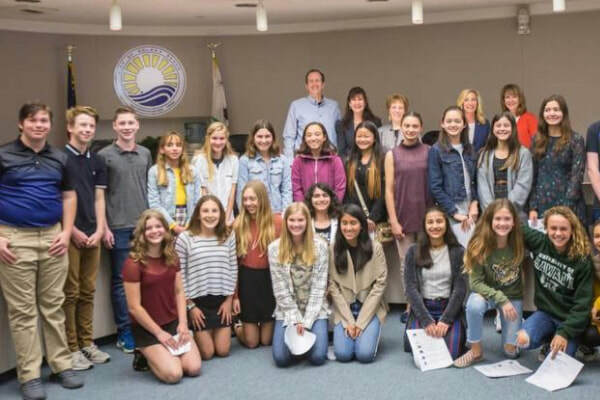 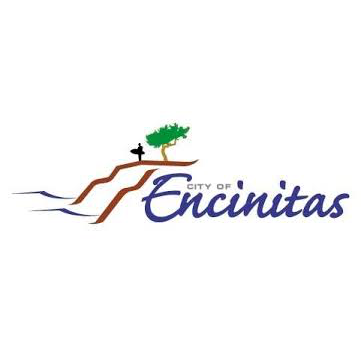 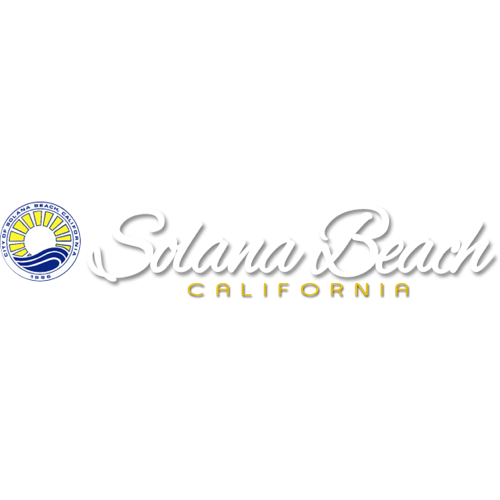 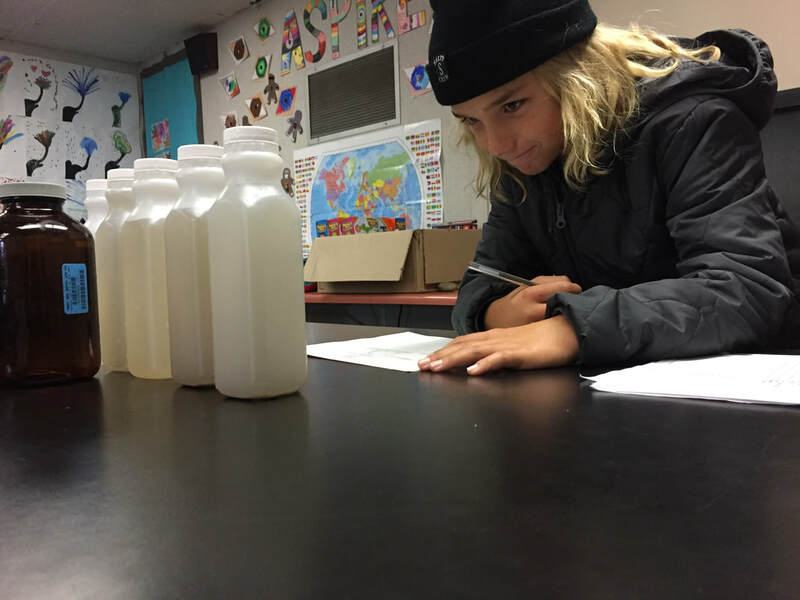 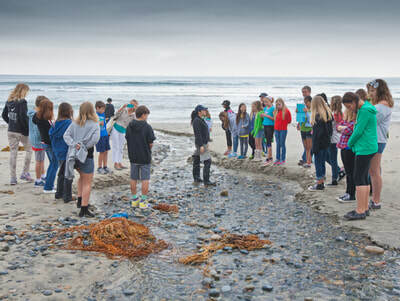 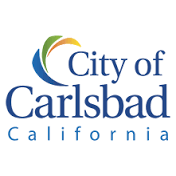 "Students propose city ban on plastic netting"
"SWPPP interns propose city-wide ban on plastic net straw wattles in Solana Beach"
"Young Environmentalists Combating Straw Wattles"
"The work the students are doing is inspiring, and these programs are filling an education and outreach space that is extremely valuable, but difficult for Cities to reach in a meaningful way." 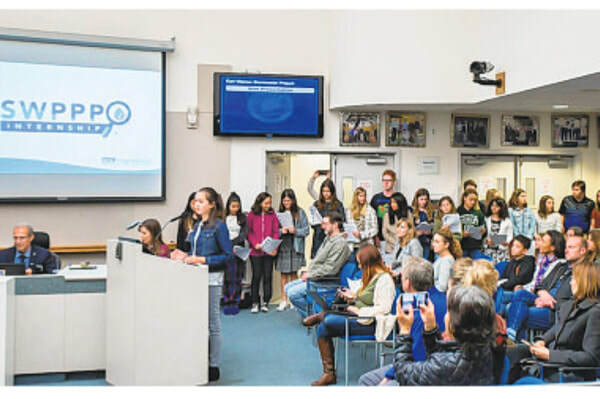 "Each of the ten presentations provided clear examples of deep understanding of the issues by students, visuals of how they solved problems, samples of their actions taken to educate others and thoughtful demonstrations of their creativity! It was quality problem-based, design-thinking, real world learning at its very best!" 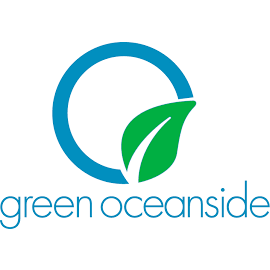 ​ "Next Generation Recycler Award"
​ "Outstanding Stormwater News, Information, Outreach and Media Project"
​ ​ "Green Schools Challenge"